Hence, they prefer to stick to the proverbial nine-to-five jobs and lose on excellent opportunities to test their entrepreneurial abilities and put their skills to more profitable use. There are several reasons you should consider to start a small business provided you have an excellent business idea for your startup. Every large business house in the world, including India, emerged as a small venture. Determination combined with the astute use of abilities and resources made it big. Here are some reasons why you should consider starting a business. India has the world’s third largest number of startups. The Indian government now provides easier and faster licensing for new businesses. Capital for small businesses is readily available from various sources. Indian universities churn out staggering five million graduates from various streams every year- which makes competition for good jobs very difficult. The Indian society no longer attaches taboos to business. People with own small businesses are as respected as those holding stable jobs. Given this scenario, let us look at various ways and means to start a new business in India. The very first step to start a small business is by having an excellent Business Plan. A Business Plan can broadly be defined as a collection of several documents written by your, partners if any and experts in various fields. A business plan is the blueprint of every venture. It is a guideline about what the business is all about, why this business was chosen and the objectives it wishes to achieve. It should consist of precise details of various elements which are to be taken into consideration before starting a new business. A Business Plan is essential to attract funds from any source. It identifies and addresses several core elements of the business. A good Business Plan will include the following components. Mission Statement: These are a few sentences about what the business is all about and objectives it aims at achieving. Vision Statement: A good Vision Statement speaks about how the business plans to go about achieving these objectives and projections for the future. Investment: This section is usually written by the best project writer or financial expert. It speaks about how much investment is needed in the business and sources from where it will come. Return on Investment: This is a key element of a Business Plan that VCs, crowd-funding platforms or banks and NBFCs will eye. They want to know how much money you earn from the business. It also shows how much returns they can expect for lending you the money. They will see whether the ROI is sufficient to cover the money they give you. Marketing Plan: All investors will want to study your Marketing Plan. This is a document that speaks of how you will position your business in the market. The branding strategy and niche market. It also speaks of how you intend to get customers for the new company. Also, Marketing Plans include details on how you will keep customers interested in your business. Advertising Strategy: You need not worry about an advertising strategy while starting your own business. Instead, you can merely advertise the business using free tools such as Facebook Business, Twitter, Instagram, LinkedIn and YouTube, among others. Distribution Plan: Here, the Business Plan carries details on how you intend to distribute products and services of your business to the targeted customers. Future Projections: As an owner, it is imperative for you to chart the course of your business over a time span. This means how you intend to increase market share and get more profits, diversification of the brand and other related details. Based upon future projections, you will also require an expansion plan. This discusses the way you plan to expand the business- such as increasing production or spreading to newer markets. Key Leaders: All investors will want to know about persons driving the company, their roles and responsibilities and expertise in the chosen field of business. Once all these elements are included, you can look for finances using your Business Plan. The first requirement for starting a small business in India or anywhere on Planet Earth is the capital. Earlier, most entrepreneurs funded business ventures with their savings or borrowed money from relatives and friends. A few availed bank loans, where possible. Nowadays, you can get finance easily to start a small business in India in several ways. There are several ways to get finance in order to start a business. Venture Capital: There are several Indian and foreign ‘angel investors’ or Venture Capitalists as they are called. These VCs will readily invest in your small business, provided it shows promise of profits and is legitimate. Crowd Funding: Till a few years ago, Crowd Funding was unheard in India. Now, there are many good crowdfunding platforms based in India and abroad. All you need to do is join one and propose your business idea. They will collect money from members of public on your behalf to set up a business. MUDRA Bank: The Indian government is offering short, medium and long-term loans to new and existing businesses under a scheme called Micro Units Development and Refinance Agency (MUDRA) Bank. This is not a real bank. Instead, it is a scheme under which participating banks and Non-Banking Finance Companies (NBFCs) lend you money on soft terms to start a new business in India. Cooperative Credit Societies: Countless cooperative credit societies lend small amounts to people who wish to start your own business in India. The price ranges from Rs.50,000 to Rs. 100,000 depending upon your venture. Self Help Groups: Nowadays, Self Help Groups or SHGs also lend money to start a small business. Generally, business loans from SHGs are available to people of a specific community or in a particular geographic location. As part of women empowerment and to promote financial gender equality, the Indian government loans for small business startup in India especially for women who wish to start a small business. These loans can be availed from MUDRA Bank, specific Public Sector Undertaking (PSU) banks and their counterparts in the private and cooperative sectors. Credit societies and SHGs also offer business finance for women entrepreneurs to help them establish a company. Generally, finance is available for female entrepreneurs belonging to an economically weaker section of the society, socially underprivileged classes, widows and war widows as well as women who are heads of family and have no male member to take this responsibility. Further, licensing procedures for women entrepreneurs are also easier now. Talking about licenses, the Indian government has done away with hurdles for almost every business to get the required documentation to start a small business. You can get a license for your business online, through registered and reputed law firms that offer the service for reasonable charges or yourself. You can get a municipal or gram panchayat permit from the local civic body to legitimise your business. However, home-based businesses in cities may face difficulties getting a municipal permit or ‘gumasta’ as it is called in some places. This is because housing societies may not give you the required No Objection Certificate (NOC) to register a home-based business if you are living in a residential building or housing complex. However, you can easily overcome the problem by applying for registering the business with the Ministry of Corporate Affairs (MCA). You can do so easily online or seek the assistance of a registered law company to complete licensing formalities. Certain businesses require specific licensing nowadays. For example, if you are planning a food production business from home like making jams and sauces or providing packed meal ‘Tiffin’ services, you will need a permit from Food Safety and Standards Authority of India (FSSAI). Legitimizing your small business is essential. It helps you in getting finance, opening Current Account with a bank, insuring the venture against fire, natural disasters and other losses. A legitimate business means you are shielded against lawsuits and prosecution for running an illegal enterprise. As we mentioned earlier, MCA offers a variety of registrations to start your new business. You can opt for any of these. Proprietorship: This is ideal for registering the business under your name. It means you are the owner of the company and responsible for its conduct, profits, losses and liabilities. Partnership: As the term implies, a partnership business includes you and other partners. Like proprietorship, you and your partners are responsible for the conduct, profit sharing, losses and liabilities of the company. One Person Company (OPC): This business registration is the latest to be announced by the Indian government. It allows you to register a Limited Liability Protection (LLP) business under your own name. Limited Liability Partnership: LLP is also a new licensing system allowed by the Indian government. It allows two or more partners to register a business with limited liability protection. Private Limited Company: For most small, medium and large businesses, Private Limited Company is best suited. It allows you to define profit sharing and liabilities, responsibilities and roles of every partner or family member. Public Limited Company: This is not useful while starting a small business. Public Limited Company is usually a designation that only huge companies who offer shares to the public and wants to be listed on the stock exchange can take. Director Identification Number: This is an eight digit unique identification number that identifies you as the Director of the business. There can be more than one director for your business. Udyog Aadhar: Since 2015, the Indian government offers Udyog Aadhar for people who wish to set up a business in the Micro, Small and Medium Enterprises (MSME) category. You have to apply online and need an Aadhar card. Permanent Account Number: Every business in India needs its own Permanent Account Number to open a business. You may hold your personal PAN. Yet, you will need a separate one for your business and complying with tax laws. Goods & Services Tax Registration: Businesses involved in manufacture or sales of products and services require Goods and Services Tax (GST) registration. Digital Signature Certificate: You will require a Digital Signature Certificate (DSC) to conduct online transactions with various departments of the Central and state governments for the small business. This can be availed through DSC vendors authorised by the Indian government. Article of Association: For partnership businesses, an Article of Association (AoA) is essential. It certifies two or more persons as partners and outlines their investment, roles, liabilities and other essentials for compliance with the law. Memorandum of Association: Memorandum of Association or MoA is again related to partnerships and deals with the conduct of each partner and the business itself. Additionally, you may also opt for additional documents such as municipal licenses to do business from particular premises and registration of office and manufacturing premises. Another significant requirement to start a new business is a bank account. All PSU, private and cooperative banks in India offer the facility of Current or Business Account. This account is held in the name of your business. It allows you to make and receive payments from your business, issue Letter of Credit and other essential documents required for a multitude of financial transactions. Depending upon the financial standing of your company, a bank can decide to offer you Overdraft facility. This means the bank will honour a payment even if your Current Account has insufficient funds at a particular time. Banks charge an Overdraft Fee for the facility. It is given solely at the discretion of the bank and is not a right of the customer. You can refer to a good guide on selecting a bank for opening an account. However, before we can get finance, documents and other paraphernalia, there is one fundamental necessity for every business. And that is a good business plan. Additionally, there are some more steps you can take to establish a small business in India. Nowadays, it is relatively inexpensive to start up a business online. You can work from home too. Registering domain name for the website of your business as well as hosting and designing costs as low as Rs. 10,000. Having a website has several distinct advantages: You can attract customers and accept orders online. Also, your business will be noticed across the world. As mentioned earlier, you can also go online through Facebook, Facebook Business, LinkedIn and other platforms. If you are selling a product, sign up with major online stores like Amazon and Flipkart as a vendor. There are other requirements which are to be taken into consideration to start your own business. However, you need not be unduly concerned about these unless it directly impacts your business. Fire Safety Permit: If your business involves the manufacture of any sort, you will need a permit from the local fire department. The license certifies that your premise is fire safety compliant. Labor Permit: Government laws make it compulsory for some businesses to hold labour permits. This means you are allowed to recruit labourers or workers of a specific category. Accident Insurance: Depending upon nature of your small business, you might have to provide coverage for workers insuring them against accidental injuries, disabilities and death. Employees State Insurance Scheme: Once again, depending upon nature of business and number of employees, you may have to subscribe to Employees State Insurance Scheme, a government-sponsored fund for healthcare. Provident Fund: Employees Provident Fund Organization administers this scheme under the Indian government. Under new laws, the government will contribute part of the money to a PF account where the employer and employer jointly deposit cash by means of direct salary debit. This is another crucial precaution to take care of while starting a small business. India has stringent laws against employing underage workers in a multitude of jobs. Therefore, ensure that you do not hire anyone below the permitted working age for your nature of the business. The lower age limit varies according to business. Providing employment to underage workers is fine because it helps them rise above poverty and meets the financial needs of their families. However, there are various laws that come into play while hiring underage workers. Firstly, they cannot be made to work at jobs deemed hazardous bylaws. Secondly, the number of hours you can make an underage employee work is limited under various rules and acts. Thirdly, you have to provide educational facilities to any underage workers you may employ for your small business. There are several glittering examples of small businesses in India that made it big. Today, these businesses have graduated into full-fledged business groups. Tata & Sons: This giant Indian conglomerate traces its history back to the 1800s. The founder Ratanji Dadabhoy Tata imported opium from China when the business in this drug was legitimate. The Tata family later entered cotton trade and manufacturing, among other companies; thus becoming one of the richest Indians in today’s era. Nirma Group: Began as a door-to-door business by Karsanbhai Patel, selling detergent powder at Rs.3 per kilo when the market rate was about Rs. 13. Reliance Industries: Was launched by founder Dhirubhai Ambani with a capital of Rs.15,000 only, though the amount held much value in those days. Dabur India Ltd: The brainchild of an Ayurveda doctor, SK Burman from Kolkata who wanted to provide cheap herbal medicines for economically underprivileged people of Bengal. Sanjay Ghodawat Group: Began as a cottage based manufacturer of ‘gutka’ or a chewable tobacco product in the 1980s under founder Sanjay Ghodawat. Today the group is a major in solar energy, food products and education, among other sectors. 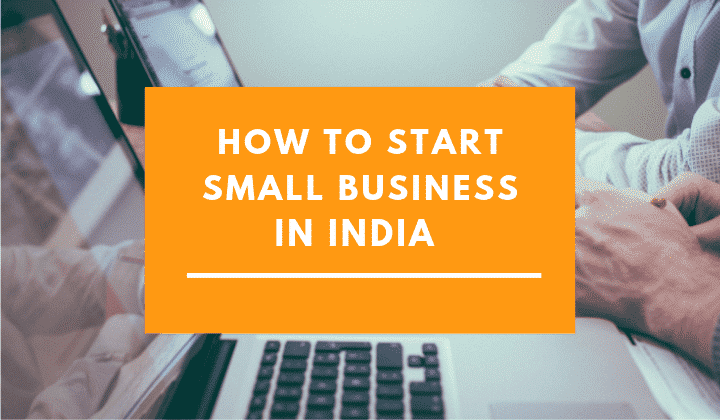 Here the ultimate guide to smoothly start a small business in India ends. Once you have the required documents in place, you can seek funds. However, it is vital to remember that attracting capital is no child’s play. You have to ensure your business is innovative. Generally, funding is not available for copycat businesses: they show no promise of revolutionizing a market. Before you venture into your small business, make sure you have the skills required for the venture. For example, if you make excellent beauty products at home, it is best to venture into this business on a slightly larger scale. We recommend you study the market for products and services you intend to offer. This will help you know beforehand about where to position your brand. Proper branding is as vital as the quality of your product and service. A wrongly branded product can land you in financial doldrums and sound the death knell of your small business in India. With some skills and proper documentation, you can attract funding for your business. The list of documents and permits may sound daunting to anyone. Yet, getting them is relatively fast and straightforward. Hence, you can safely consider starting your small business in India. Have gone through the article,. its interesting. For last one year i am trying to start a small business with max 5 lakh. sir, i want to do some ,online &offline work .so can u guide me .where i find that . ? Great tips for starting a new online small business in India! People are now-a-days chasing more for online working from home jobs.That’s true for the current trends worldwide! 2. 70% commissions in step 1 (ie. 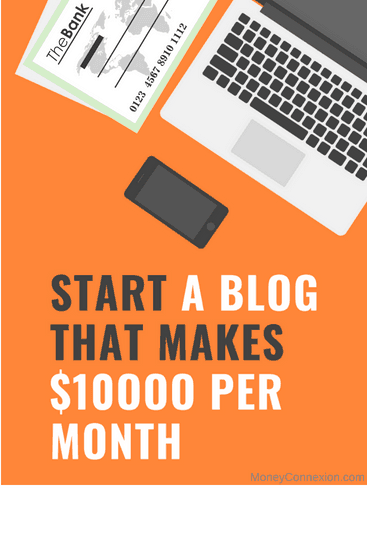 you get $5 per signup) and subsequently you will get 100% commissions. 3. No door to door selling required of any kind. 4. No need to even leave your house to make any money as everything is online. 5. System is designed to grow your team automatically, once you have sponsored the initial 3. (This is where most people give up as they are not able to grow their teams). But in this case, the system does it automatically for you. 6. Your earnings levels move from 70% to 100% depending on team size. (so its a double benefit). 7. Your one time effort of sponsoring people is rewarded EVERY MONTH. Not just once. So you have sustainable earnings. I would like to start farming in kerala. persons who have experience and technical idea about animal husbandry, please reply. I will get hired Land for 10 Acres with water and electricity in remote area. Rs 50000 need to get net profit per month. I want to start online business. sir i want to strart my own business but i have no mony yet……..
so plz give me way to start my work. Hello ! I am Builder K Amin. If you are still interested to do any business then send me your project on my mail address .I will recharch on your project and will decided. I like to start my own business from home. I like to do garment business later i thought to set up a store. can any one tell me where I can get suppliers for garments like formal wear for ladies . I want to start a business with an investment between 5-10 lacs..
please suggest me some export business from which I can get profit. I have a small business in Canada and i would like to franchise it in India. Setting up the store, training and all the products will be my job. I am for someone who is already living in India, so i can meet them and talk to them about the idea. Once we all agree on the terms then we can talk about other things. Please let me know. In the meantime i am searching to see if i can start a small business by myself. We need a business of abroad because compare to abroad currency rate india’s currency rate is law. I am interested to do that . If you are having the same thought will call me to this number. I am an QUICKBOOKS experienced person if you know any CPA there will do the accounting from here. DEAR RAHMAT …… MY SELF FARHAN KHAN CAN YOU DISCUSS YOUR BUSINESS MY MAIL ID IS [email protected], I BELONG TO DELHI (INDIA). AND I HAVE SALES EXPERINCES . May be we can start. Can you explain your plan. please, send me your current location. your location decide you, best business for you. I wanna to start Data Entry Projects which we can do “work from home” with my friends. Please let me know how can I start and if there is any project are avaible. HI… all your information is very worth and reasonable, but i’d like to export business at garments like nighties and tshirts and pooja things can u suggest and help my business? You can start from Linkedin network, there is a big demand in Africa for these T-Shirt and Nighties. I have few contacts so i can help you. I am trying to set up a clothing store at Bangalore, this is a new start up and me and two friends are starting it in a partnership. I want to know the licences i need to have to start this store and we wont be investing more than 5 lakhs. Could someone tell me how i can go about it? If you are looking for a franchise business in India in real estate then RE/MAX has the best new business opportunity in property franchising. The world’s largest selling real estate company can help you become a property broker or real estate agent with extensive training from the top real estate consultants. hi aashil i want to start real estate consultancy business kindly let me know how to start from …. thanks for sharing your ideas and opportunities. I want to start a online or offline data entry job. Can u suggest me some reliable paperwork sites ?and also what the minimum cost will be? It is really amazing and let the recipient make use of these ideas to come up in life.